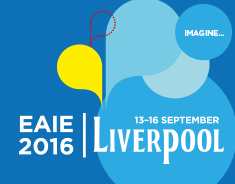 Scholars at Risk’s Sinead O’Gorman will speak at this year’s EAIE as part of a panel on “‘Students at Risk’: an empowering beacon of hope” on September 14th in Hall 1B, Level 1. The panel will discuss the Norwegian pilot program Students at Risk, which seeks to protect student activists from harassment and allow them continued access to higher education. In addition, SAR will be at Stand 226 throughout the conference and welcomes all those in attendance to stop by to meet with SAR representatives and learn more about opportunities for engagement with the SAR Network.